Take the A Line of the subway (direction Anagnina) and get off at the last stop, i.e., Anagnina. Go to the bus station, which is one floor up, and take bus No. "20 Express". Get off at the 8th stop (Cambridge), which is located between the School of Engineering (left) and the School of Economics (right). 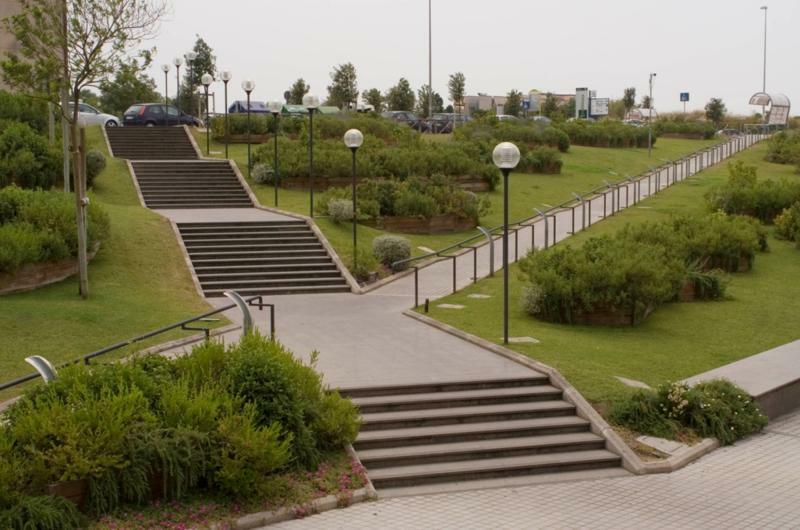 From the bus stop, walk down through the stairs /pedestrian walk to the School of Engineering (here is a picture of the stairs / pedestrian walk taken from below). Then, go straight to our building through its main entrance. The cost of a ticket is 1.50 euro and the ticket is valid for 100 minutes. The ticket must be stamped on board at the beginning of your trip on a bus and when taking the subway (only 1 subway trip is permitted with your ticket). Tickets can be bought at kiosks, newspaper stands, or from automatic machines at subway stops. The trip from the Termini subway stop to our building takes approximately 40-45 minutes. Tell the taxi driver you have to go to "Università di Tor Vergata, Facoltà di Ingegneria". The cost of a taxi ride from the airport will be approximately 60 euros. It can take anything from 30 to 90 minutes, depending on traffic. Make sure you only ride on regular taxis and beware of unofficial taxi drivers! You have to get on the Big Ring (Grande Raccordo Anulare or G.R.A. for short). In order to get on the G.R.A. if you come from the city center look for directions to the G.R.A. 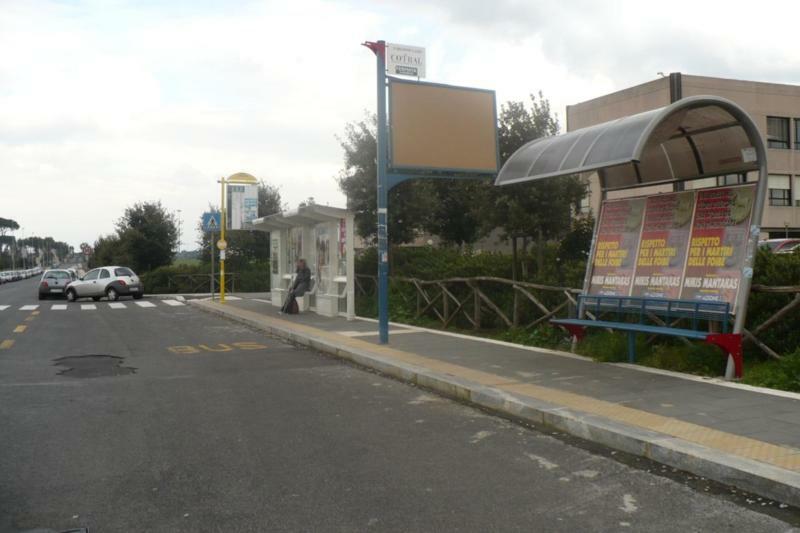 (a green sign); if you come directly from the Fiumicino airport first take the Fiumicino-Rome highway and then leave the highway at the G.R.A. exit. Then leave the G.R.A. through exit no. 19 (the exit is named "La Romanina - 2a Università") and then follow the directions for the "La Romanina" and "Seconda Università". 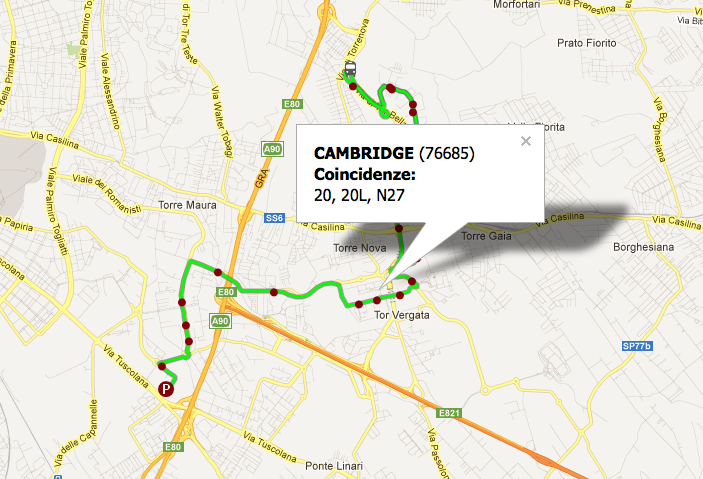 Pay attention not to take the Rome-Naples Highway ("Autostrada Roma-Napoli") by mistake. You can trace the correct path on the map. 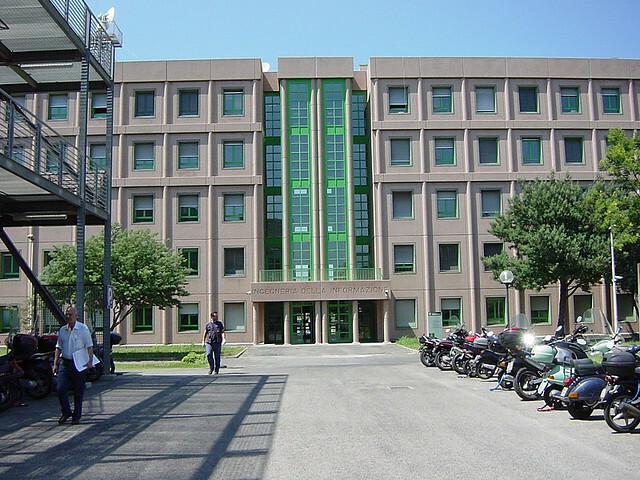 After a slightly uphill bend turn left and follow the directions to the School of Engineering ("Facoltà di Ingegneria"), which will lead you to Via Mario Pastore (the Italian for Mario Pastore street) after a complete turn. Then turn right for Via Stanford and pass by the roundabout proceeding through Via Stanford. At the end of Via Stanford you'll be compelled to turn right, ending up on Viale della Sorbona (the Italian for Sorbona Avenue), along which you'll find a second roundabout. On this roundabout take the first exit on your right, which takes you to Via Columbia. Follow this road for approximately 50 meters and turn left (the first street on the left, Via del Politecnico). Drive all the way up to the end of Via del Politecnico, where you'll find our building (the third building to the right) and a parking lot on your left. If you come by train you should arrive at the main train station in Rome, which is Stazione Termini. There is a Termini subway stop in the train station: take the A line and follow the instructions reported in this page under the heading "By public transportation". 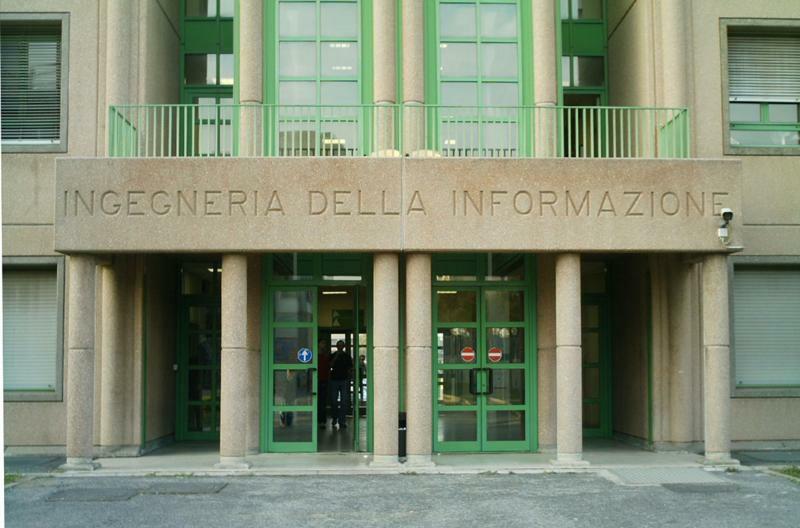 Our meetings are usually held in the meeting room (sala riunioni) at the ground floor of our Building ("Ingegneria della Informazione").